Our universe, with its habitants, lives in that small square at the border between stability and meta-stability. 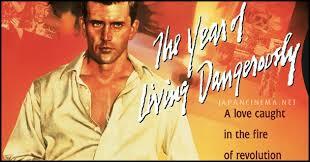 So, it takes not too much to “live dangerously” as the authors say. Just a better measurement of the mass of the top quark can throw us there and this is in our reach at the restart of LHC. Anyhow, their estimation of the tunnel time is really reassuring as the required time is bigger than any reasonable cosmological age. Our universe, given the data coming from LHC, seems to live in a metastable state. This is further confirmed in a more recent paper by the same authors (see here). This means that the discovery of the Higgs boson with the given mass does not appear satisfactory from a theoretical standpoint and, besides the missing new physics, we are left with open questions that naturalness and supersymmetry would have properly assessed. The light mass of the Higgs boson, 125 GeV, in the framewrok of the Higgs mechanism, recently awarded with a richly deserved Nobel prize to Englert and Higgs, with an extensive use of weak perturbation theory is looking weary. The question to be answered is: Is there any point in this logical chain where we can intervene to put all this matter on a proper track? Or is this the situation with the Standard Model to hold down to the Planck energy? In all this matter there is a curious question that arises when you work with a conformal Standard Model. In this case, there is no mass term for the Higgs potential but rather, the potential gets modified by quantum corrections (Coleman-Weinberg mechanism) and a non-null vacuum expectation value comes out. But one has to grant that higher order quantum corrections cannot spoil conformal invariance. This happens if one uses dimensional regularization rather than other renormalization schemes. This grants that no quadratic correction arises and the Higgs boson is “natural”. This is a rather strange situation. Dimensional regularization works. It was invented by ‘t Hooft and Veltman and largely used by Wilson and others in their successful application of the renormalization group to phase transitions. So, why does it seem to behave differently (better!) in this situation? To decide we need a measurement of the Higgs potential that presently is out of discussion. But there is a fundamental point that is more important than “naturalness” for which a hot debate is going on. With the pioneering work of Nambu and Goldstone we have learned a fundamental lesson: All the laws of physics are highly symmetric but nature enjoys a lot to hide all these symmetries. A lot of effort was required by very smart people to uncover them being very well hidden (do you remember the lesson from Lorentz invariance?). In the Standard Model there is a notable exception: Conformal invariance appears to be broken by hand by the Higgs potential. Why? Conformal invariance is really fundamental as all two-dimensional theories enjoy it. A typical conformal theory is string theory and we can build up all our supersymmetric models with such a property then broken down by whatever mechanism. Any conceivable more fundamental theory has conformal invariance and we would like this to be there also in the low-energy limit with a proper mechanism to break it. But not by hand. Finally, we observe that all our theories seem to be really lucky: the coupling is always small and we can work out small perturbation theory. Also strong interactions, at high energies, become weakly interacting. In their papers, Gian Giudice et al. 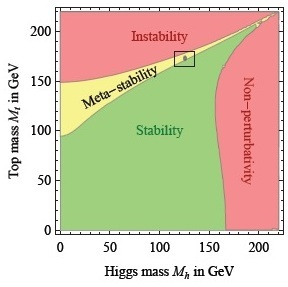 are able to show that the self-interaction of the Higgs potential is seen to decrease at higher energies and so, they satisfactorily apply perturbation theory. Indeed, they show that there will be an energy for which this coupling is zero and is due to change sign. As they work at high energies, the form of their potential just contains a quartic term. My question here is rather peculiar: What if exist exact solutions for finite (non-zero) quartic coupling that go like the inverse power of the coupling? We were not able to recover them with perturbation theory but nature could have sat there. So, we would need to properly do perturbation theory around them to do the right physics. I have given some of there here and here but one cannot exclude that others exist. This also means that the mechanism of symmetry breaking can hide some surprises and the matter could not be completely settled. Never heard of breaking a symmetry by a zero mode? So, maybe it is not our universe on the verge of showing a dangerous life but rather some of our views need a revision or a better understanding. Only then the next step will be easier to unveil. Let my bet on supersymmetry again. You are currently browsing the The Gauge Connection blog archives for November, 2013.